Both brownfield and greenfield sites have the potential to develop ground gas from various sources. Ground gas is often associated with landfill sites or areas of deep made ground; however sources can also include natural sources depending on the underlying geology. 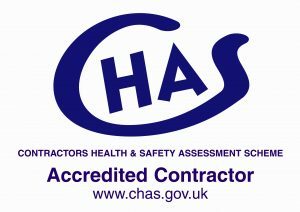 RSA Geotechnics has recently passed an annual reassessment for the Safety Schemes in Procurement (SSIP) criteria via the Contractors Health and Safety Assessment Scheme (CHAS), reinforcing the company’s commitment to meeting the highest UK safety standards. 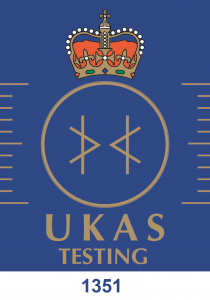 RSA Geotechnics is accredited by the United Kingdom Accreditation Service (UKAS) [Testing Laboratory No. 1351] for compliance with ISO/IEC 17025, the international standard for the management and technical competence of testing and calibration laboratories. RSA Geotechnics has recently passed an annual reassessment by Constructionline to ensure the company meets government pre-qualification standards with regard to; health and safety, finance, insurance, quality, environmental management, equal opportunities and staff training. RSA Geotechnics have recently achieved ISO 14001 certification, the international accreditation for environmental management. ISO 14001 provides practical tools for companies and organisations looking to identify and control their environmental impact and constantly improve their environmental performance. A phase 1 desk study assessment is carried out as the first stage of a site investigation to look at the ground conditions of a site, review existing information, and help plan the scope of the subsequent stages of investigations. Asbestos is a carcinogen and a possible soil contaminant. Inhalation of airborne asbestos fibres may cause serious health effects, including lung cancer and mesothelioma. Following an assessment by an independent body, RSA Geotechnics has been awarded ISO 9001 certification. This prestigious accreditation for quality management is supported by the UK Government and is recognised world-wide.